Posted on January 4, 2012 by Emily Cotton Posted in Uncategorized	. Hi guys!.. Today is a busy day for me, so I decided to just don a scarf and go. 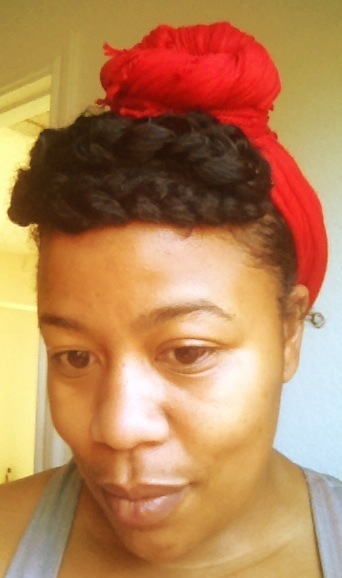 my knotted fro hawk style was great, I left the twists in except for in the front. 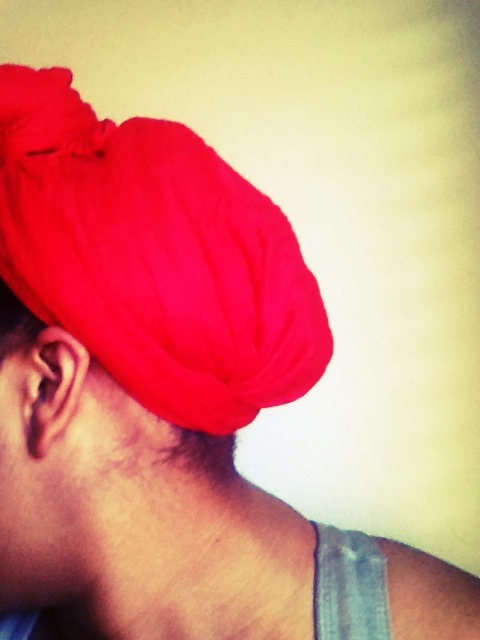 I pulled that part out and made three braids in the front and covered the back with my red scarf. 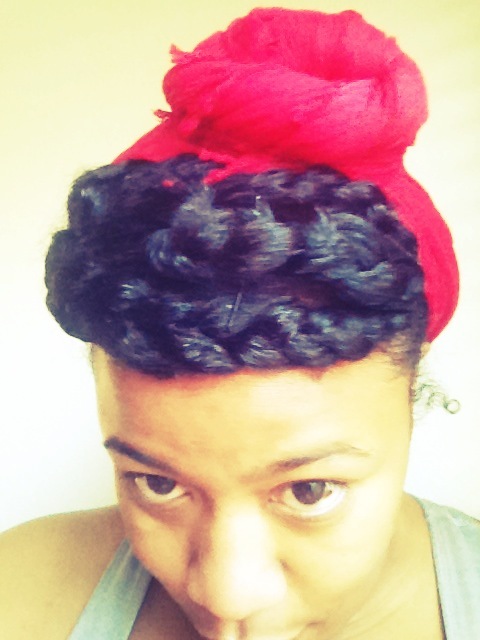 Hair Today- Fro Hawk Knotted! !